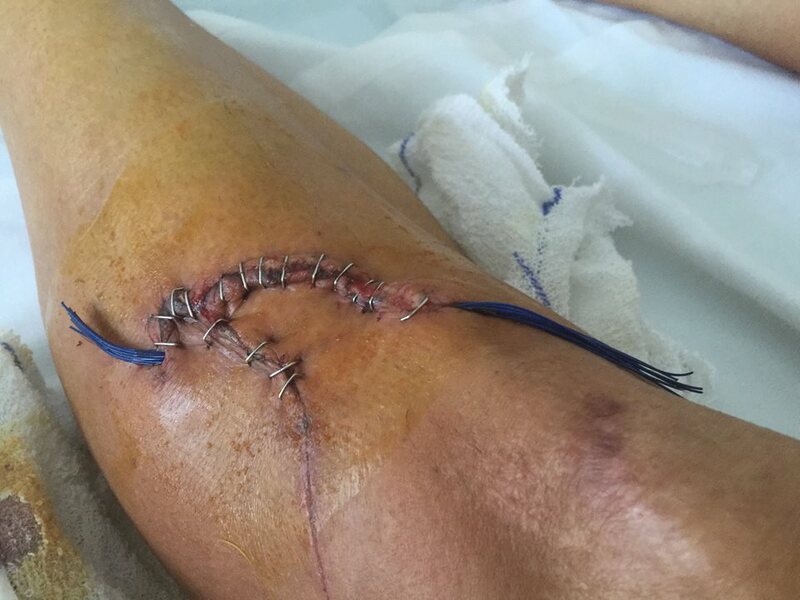 A Spanish cyclist was left staring at his actual shin bone after another cyclist’s disc brake sliced open his leg. The stomach churning incident took place as Spanish cyclist Fran Ventosio was competing in the Paris-Roubaix race when he came off his bike and was sliced open by the disc brake of the bike in front of him, reports The Telegraph. 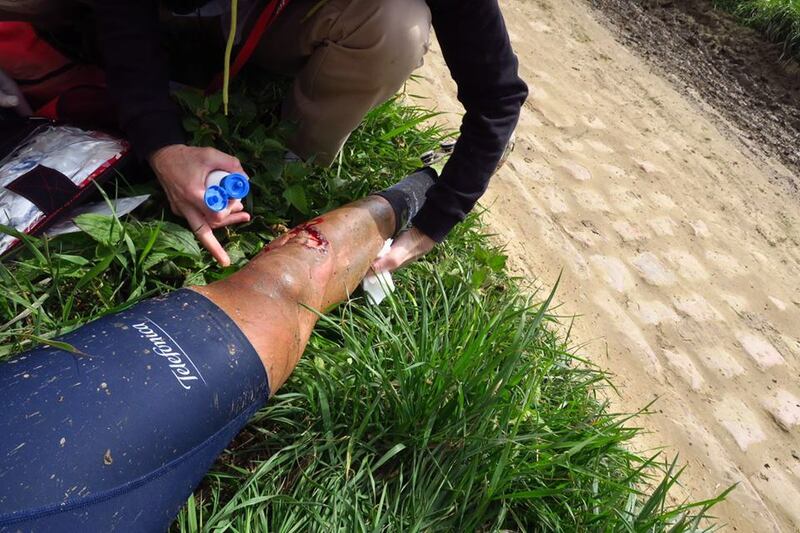 Unsurprisingly, he was forced to abandon his attempt to win the race, but he did find time to share the gruesome before and after photos of his – now pretty seriously scarred leg – to Facebook. I’ve got to brake but I can’t avoid crashing against the rider in front of me. I didn’t actually fall down: it was only my leg touching the back of his bike. I keep riding. Afterwards, I have a glance at that leg: it doesn’t hurt, there’s not a lot of blood covering it, but I can clearly see the membrane or surface that covers my tibia. Following the incident, the International Cycling Union (UCI) has suspended the use of disc brakes with immediate effect, pending an investigation. 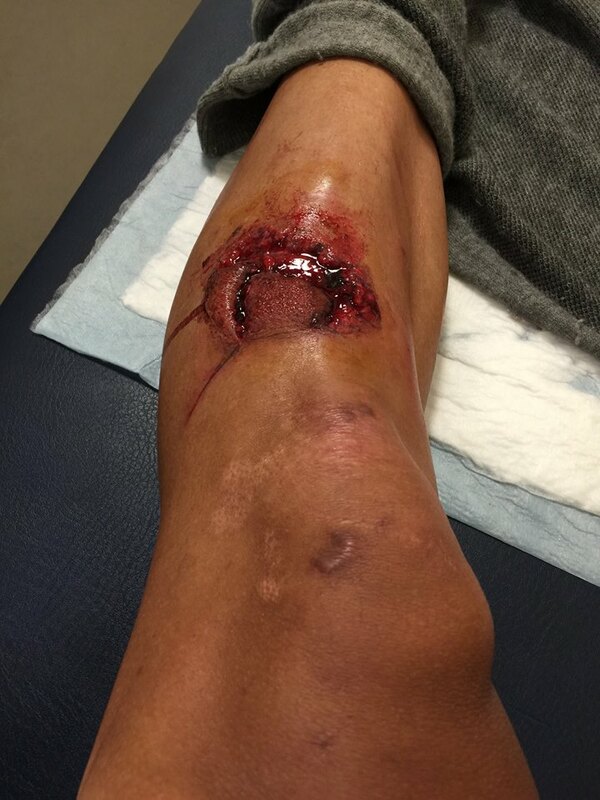 I’ve been lucky: I didn’t get my leg chopped off, it’s just some muscle and skin. But can you imagine that disk cutting a jugular or a femoral artery? I would prefer not to. So would we, all the best to Fran for a speedy recovery.